Moving this Duronic electric burner is simple even if it's still hot thanks to cool-touch handles. 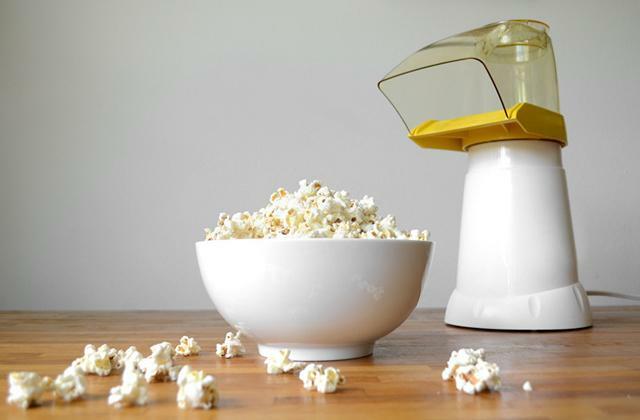 Hence, this appliance is a real space-saver! The housing of this unit should be cleaned after each cooking. 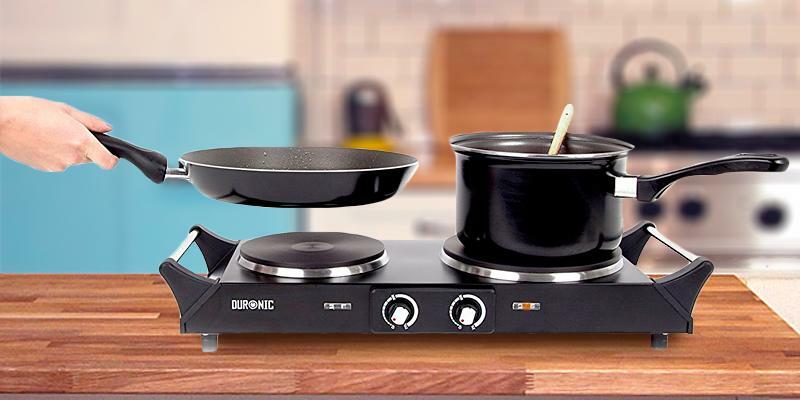 If you need a smart appliance for cooking a savoury dinner for your whole family, this powerful double plate electric burner from Duronic is definitely for you. Cook like a chef no matter where you are! A model with a single plate is also available. 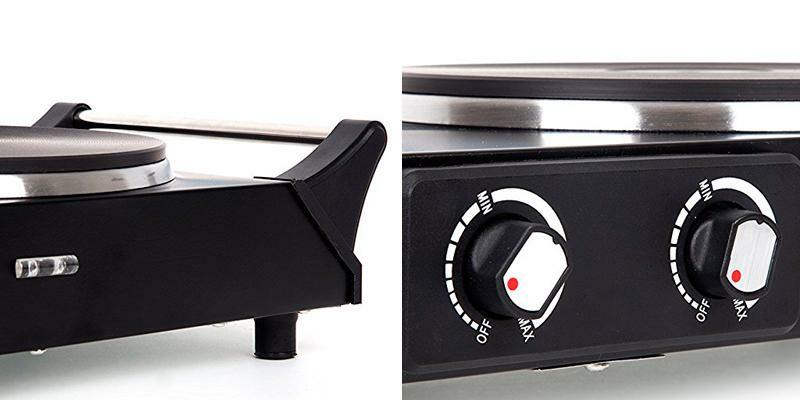 This burner has a lower power 750-watt cooking plate which is very useful and convenient when you need to cook a single-serve dish or a meal for a couple of people. Control dials become rather hot when the appliance is on. The Russel Hobbs electric burner boasts an incredible combination of high performance and cost effectiveness. It will cope with a variety of cooking tasks on par with a full-scale kitchen stove, allowing you to save up on your electricity bills. 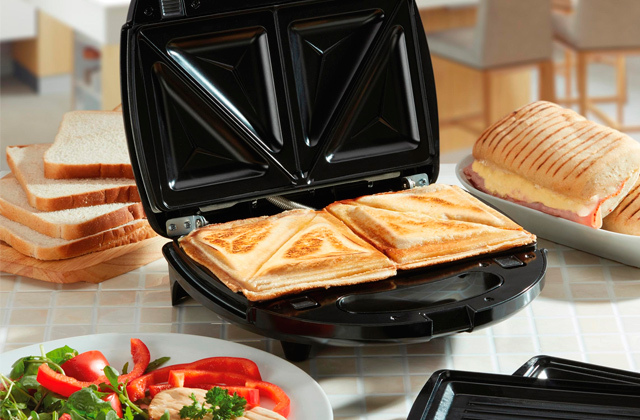 Thanks to a compact size, portability is a distinctive feature of this cooking appliance. It will not take much space, hence it's a great choice for campers. Due to rather low feet, the burner can heat the surface beneath. Are you planning a camping trip with your family? 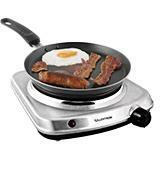 Then, this small yet functional electric cooktop will come to help you cook gourmet meals even away from home! The Lloytron electric burner is available with double plates and in different colours. Though made of crystalline glass, the cooking surface of this burner is scratch-resistant. Hence, you can use any cookware without a risk to damage or spoil the appliance. The power of this electric burner is rather low. The Cusimax Ceramic Hot Plate will help you cook or just warm some food up in no time and in any place with electricity supply. 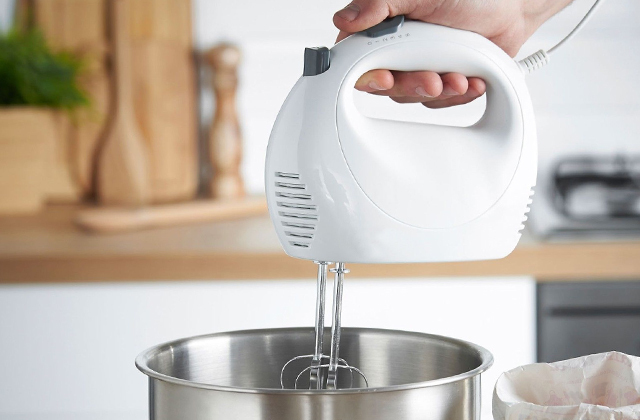 With a number of variable heat settings, it is perfect to fry, boil, simmer or even keep your food warm. Thermostatic knobs are ergonomically placed on both sides of the twin hob at a certain distance from the hot plates. It means they won't heat when the appliance is in use. Indicator lights are not bright enough. This highly functional electric burner from Andrew James is designed with user safety in mind. 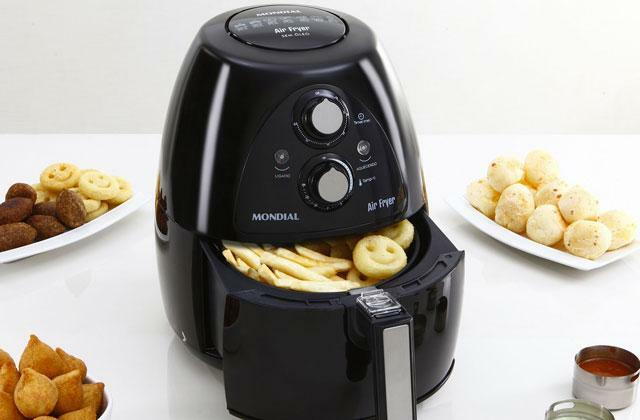 It features rubber feet and automatic shut-off function to prevent the burner from skidding and overheating. A real catch for health-conscious cooks! As usual, cooking at home means using a full-scale kitchen stove featuring 4-6 hobs. 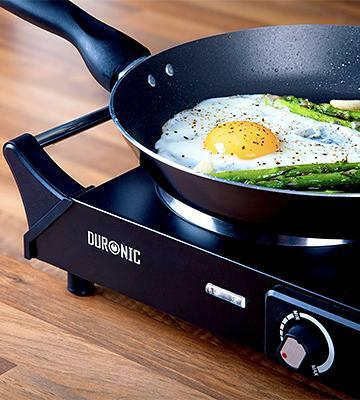 However, when the kitchen space is limited, you have no stove for some reason or you need a portable cooking solution, this electric burner from Duronic will come in handy. 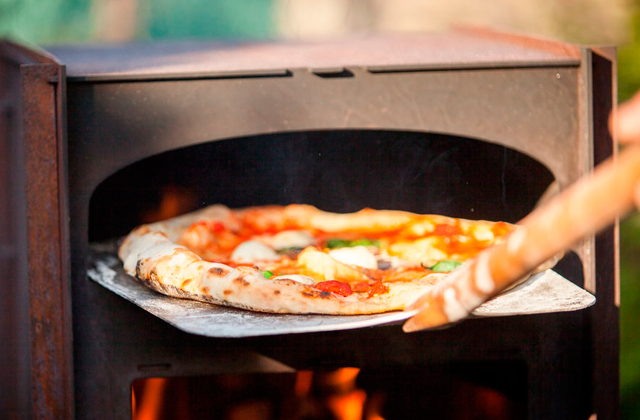 It can fully replace a conventional stove without taking any extra cooking time or compromising the taste of food. Owing to dual cooktops, you have a wonderful opportunity to cook two different dishes at a time if you want to have lunch with your family or impress your partner with an exquisite dinner. 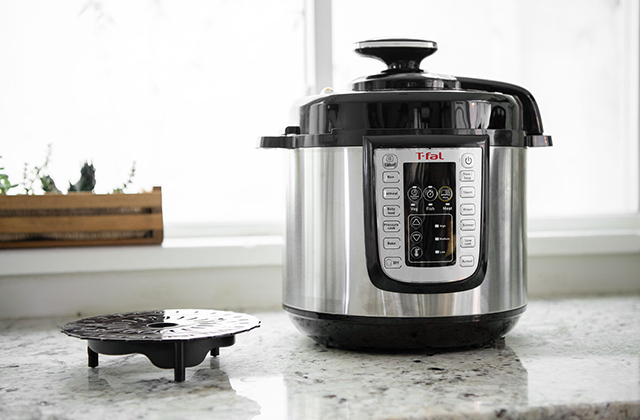 The 1500W and 1000W cooktops ensure unbelievably fast and efficient cooking and allow you to fry, stew or simmer food as well as warm pre-cooked meals up. Made of cast iron, the cooking plates ensure an even heat distribution and maintain the temperature after the appliance has been shut off. Hence, your soup, pasta or stewed meat will remain warm until everyone gathers at a table. This electric burner is also great for its portability. You can take it with you and cook anywhere with access to electricity, be it a campsite, travel trailer or even a boat or a yacht. The Duronic HP 2BK Electric Burner is a helpful appliance for use on any occasion! Along with usability and high performance, the manufacturer should care about the safety of an electric burner. So this very model is designed to minimise the possibility of burns. Non-slip feet ensure the unit's stability and steadiness on any surface and prevent countertop surface heating while overheat protection allows using a cooktop quite for a long time when, for example, you cook for a Christmas dinner or a family celebration. Moreover, the unit is fitted with built-in cool touch handles that enable you to move the cooktop even if it is not completely cool yet. Besides, they add some style to the look of the electric burner! From now on, thanks to a safe and fuss-free cooktop operation, you can enjoy cooking your favourite dishes anytime and almost anywhere! To make the cooking process even more comfortable, you need a high-quality cookware. Choose one of the best cookware sets that include all pans and skillets for realising your most exquisite culinary ideas! If you like recreational camping and outings but do not feel like an experienced camper and wonder how to prepare and get packed for those exciting nature trips, do not worry! You can easily find a lot of useful information, smart tips, and recommendations on how to facilitate your travel arrangements and enjoy your RV or tent camping. So, you won't need to eat junk food when you are on a camping tour! A healthy diet is essential wherever you are! And this is when a Camp Chef app for Android and iOS will come in handy. Simply download it to your smartphone or tablet to access numerous recipes for a grill and an electric cooktop. It's notable that a base is constantly expanded by new delicious and easy-to-cook recipes. On top of that, this incredible app gives you an opportunity to become a member of camper’s community on Facebook and Instagram to discuss and share your culinary experience. Never miss out on a chance to get away from the city and enjoy your camping time! 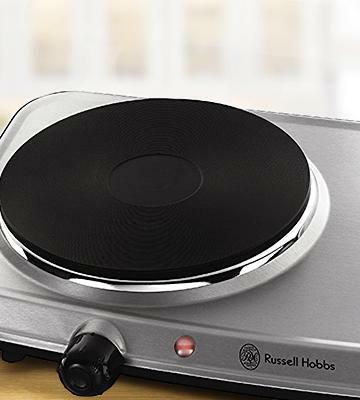 The Russel Hobbs Double Hot Plate comes complete with an instruction manual containing a variety of interesting recipes to help you tailor your cooking skills and unleash your culinary talent. One of those recipes is tuna and tomatoes pasta, a healthy yet scrumptious dish. The cooking process is a really simple task! For 2 serves, take 185 g of tuna in olive oil and drain the oil into the pan. Put the pan on a small plate and add one more tablespoon of extra virgin olive oil. Heat it gently. Add a finely crushed clove of garlic and 400 g of diced tomatoes with juice. Stir the mixture and simmer it within 20 minutes. 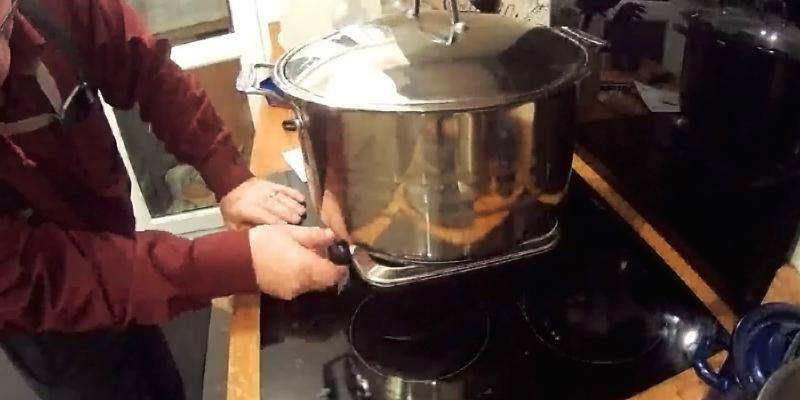 Meanwhile, cook 250 g of spaghetti or any other pasta to your liking in a plenty of boiling water. Once your tomato sauce is ready, add 2 tablespoons of freshly chopped parsley and basil, ground pepper, and flaked tuna. Stir the mix. Then, serve the dish with hot pasta and several basil leaves on top. Bon appetite! People who cook every day say that the cooking process is not as tiresome as dishwashing and kitchen clean-up. Purchasing one of countertop dishwashers, you can solve an issue of washing piles of dirty plates and pans. 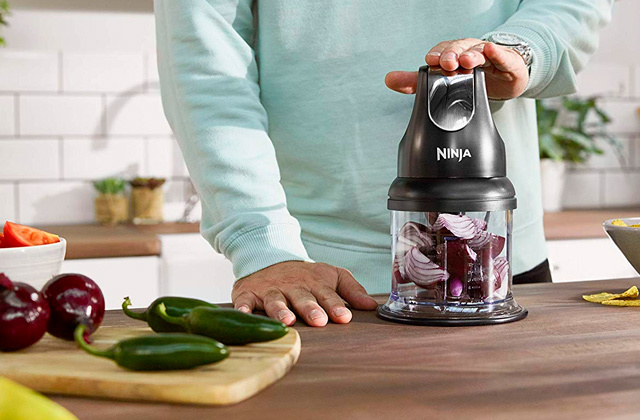 This appliance will save you a lot of time and effort without taking much space in your kitchen. 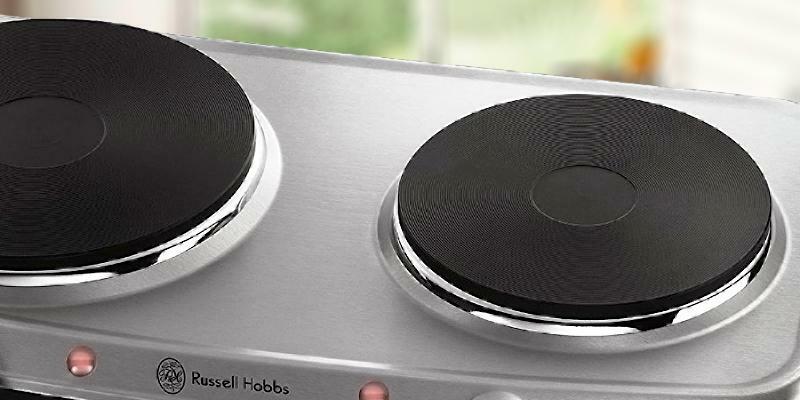 As for cleaning a cooking surface, it will not be a problem at all if you use the Russel Hobbs 15199 electric burner. 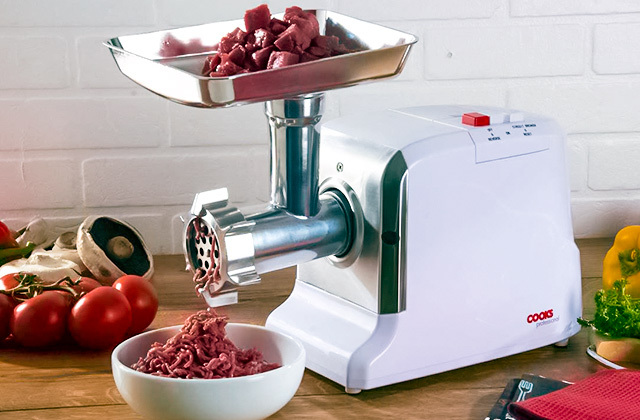 This model will impress you with its easy operation and perfect usability. 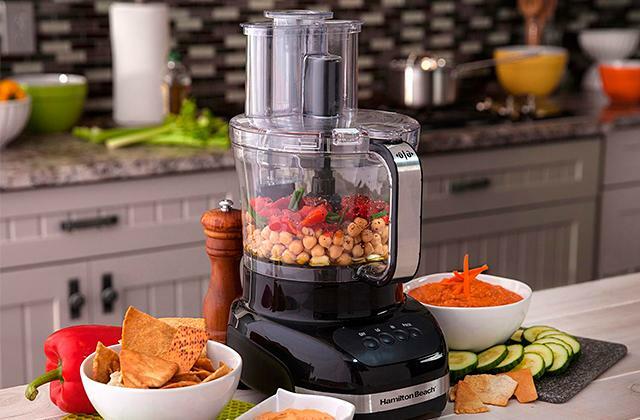 It comes with two variable controls and power indicators for two separate cooking plates. A stainless steel housing ensures a hassle-free cleaning and requires no extra care. Meanwhile, to maintain a brand-new look of the cast iron plates, just wipe them with a damp cloth after each use (once they cool down, of course). No doubt, this practical model will be of great use at home, in the office, at a hostel, or during camping. Though today you can find an array of dual burners that look so much the same in the market, they are still very different in terms of power consumption. 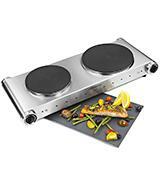 The main secret of highly efficient operation of this electric burner from RussellHobbs is a well-thought-out power distribution between the two cooking plates. 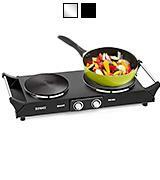 The bigger hob boasts the power of 1500W, which is ideal for cooking lots of food quickly and efficiently. The smaller 750W cooking plate is suitable for cooking 1-2 serves or boiling some water or milk for your favourite tea, coffee or cocoa. 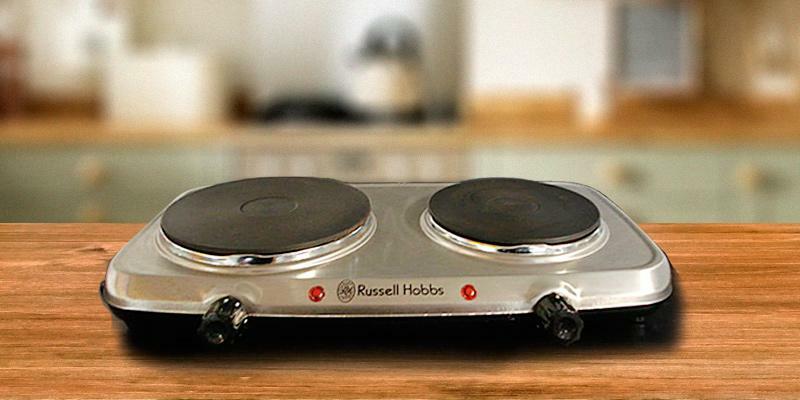 Cooking with the Russell Hobbs Double Hot Plate is as fast as with a conventional stove. Yet, this appliance consumes far less energy allowing you to save on electricity bills. A great combo of exceptionally high performance and budget-saving characteristics! One of the major tasks of an electric burner is to boil water so that it gets good enough for drinking. Many people think that all bacteria in the water parish only in the process of boiling. But it is a popular myth. Actually, you do not need to boil water to extinguish all bacteria in it. Scientists proved that it is enough to heat the water to 65°C for a while to purify it. But how will you determine that the water is heated up to this temperature? It's easy! Just use a cooking thermometer. It's a simple, compact, and affordable device that will not only let you know that the water is safe to drink but also help you check whether your meal is ready. This device is a real catch for camping and travelling in the trailer when you cannot be 100% sure about the purity of the water you are going to drink. Meanwhile, using your electric burner becomes much easier and more convenient if you have a cooking thermometer! If you wish to go camping or spend several days away from civilisation in order to have some rest from hustle and bustle of a city or distract yourself from daily routine, you need to take everything for the maximum comfortable and pleasant pastime. Making up your checklist, do not forget about sleeping bags to sleep comfy and headlamps to lighten up the campsite at night. 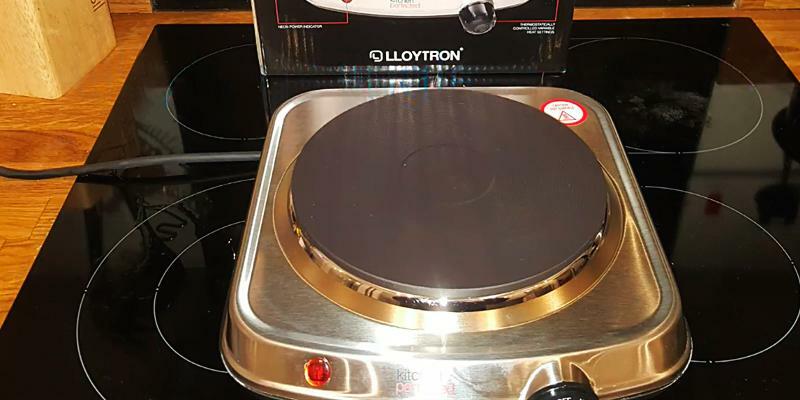 If there is access to the mains, no camper’s arsenal is complete without a portable electric burner and this powerful hot plate from Lloytron will become your cooking assistant. The compact size of the unit, 24.7 cm(W) x 28.3 cm (D) x 8.1 cm (H), is perfect for travelling, while an 18.5-cm and 1500W cooking plate is ideal for cooking a lot of food and boiling water in mere minutes. 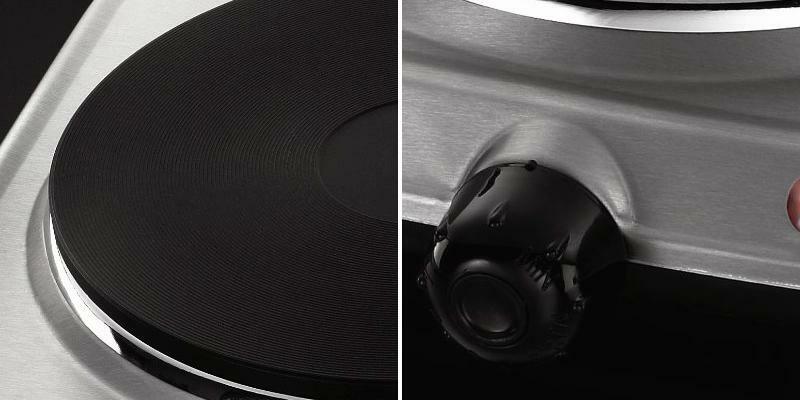 In addition, a durable metal body will prevent any deformation during transportation. Be sure, this small-sized lightweight electric burner is an incredibly handy and functional appliance that will never leave you hungry! In case the power supply is not available, it is worth having a special camping stove that is commonly fueled by gas. Most often, people don't know for sure when the surface is hot enough to start cooking. If you fail to pick the right temperature, your food might look done yet remain uncooked inside. It is true especially when it comes to frying, stewing or roasting meat. A clever light indicator in the front part of the unit will help you avoid such an unpleasant experience. Once you turn the appliance on and set the desired temperature, the indicator will light up to remind that the cooktop is heating. As soon as the indicator switches off, it means that it's time to put your pan or skillet with ingredients on the cooking surface. Such a smart, handy, and very simple solution will add to your exceptional cooking results! Getting packed for camping? Though it's tempting to overpack, think about what you really need and make up a list of essentials so that your leisure is not only relaxing and enjoyable but also safe. Below, we will give several tips on some crucial camping accessories. To learn more, you can visit specialised sites and forums. 1. You should always have a first aid kit with properly selected items at hand to treat injuries and less severe problems before they turn into bigger troubles. You never know what emergencies wait for you during camping. 2. The next thing to take care of is a food stock for the whole camping period. If you plan to take some storable foods with you, pack them in lunch boxes and thermoses for convenient handling and safe storage. In case you are going to set a camp near a pond, you can take a fishing rod. Fishing is not just a pleasant pastime. 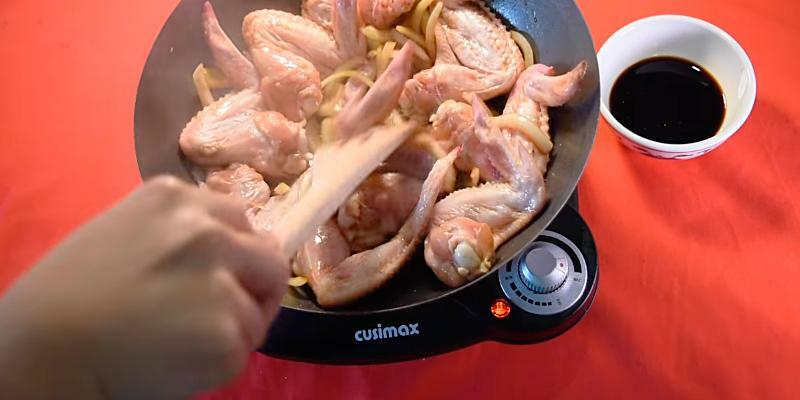 You can immediately cook your catch on a portable electric burner such as Cusimax. 3. Car GPS navigation systems will come in handy to navigate unknown localities and get to the place of destination quickly and without any troubles. Need to Warm Some Food Up? No Problem! 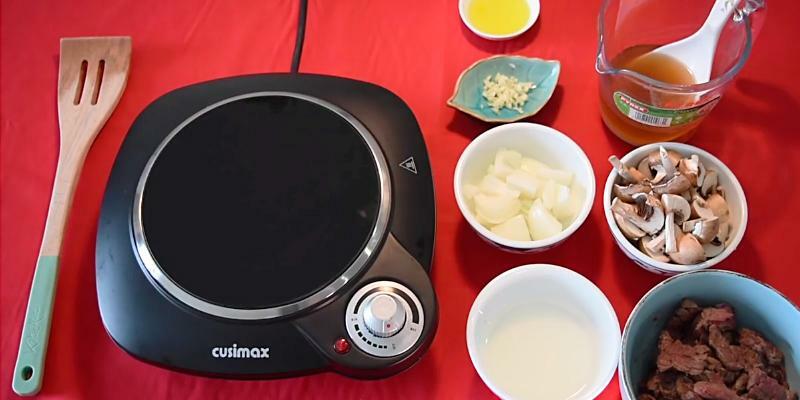 The biggest advantage of the Cusimax Ceramic HotPlate is thermostatically controlled variable heat settings that allow you to adjust the temperature for fast and slow cooking as well as for warming. Just plug your electric burner in, set a full-range thermostat control knob to the necessary temperature, and in a matter of minutes a crystalline glass plate will warm up your pre-cooked dishes effectively and evenly! 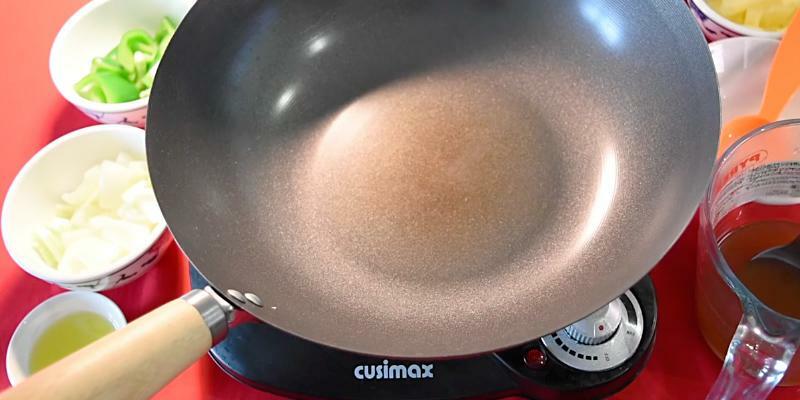 Whether you need to boil water for a cup of tea or coffee, fry some bacon and eggs for breakfast or warm a yesterday stew or Lasagna up for dinner, the Cusimax CMIP-B112 is the perfect assistant. 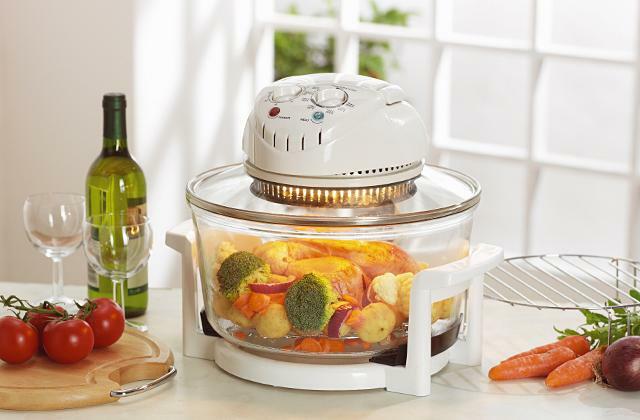 Moreover, thanks to the constant temperature, you can keep your meal warm for a while without the need to boil it again. A really useful and handy option if you need to wait till your whole family gathers at the dining table. Besides, even if you get distracted from cooking, there is still a built-in overheat protection function that adds safety to the operation and ensures a long service life of all burner components. Do you want to invite guests and impress them with dainty treats? Sometimes, even a normal 4-hob stove is not enough to cook everything you planned for a festive menu. An easy-to-handle and convenient-to-store electric burner from Cusimax will become a handy extra cooking tool that heats in mere seconds to speed the cooking process up and save your precious time. The secret of high performance is in a glass-ceramic cooking surface that heats faster and more evenly than its conventional cast iron counterparts. The surface boasts is easy to clean. The scratch-resistant crystalline glass cooktop is suitable for any cookware and will remain attractive after years of use. 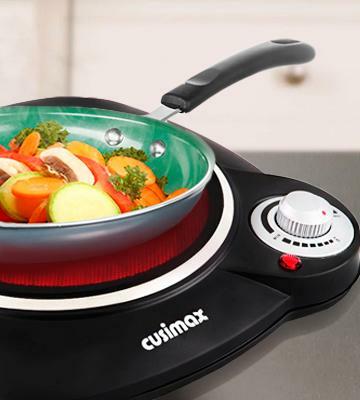 Hence, when you need to boil some veggies for a garnish, roast shrimp for canapé or melt chocolate for a lip-smacking fondue, the Cusimax ceramic burner will become your helpful kitchen assistant to prepare for enjoyable family celebrations, unforgettable friendly gatherings, cheerful parties or pleasant stand-up receptions. Why are Cooking Plates Made of Cast Iron? Despite a technology onrush and implementation of countless innovations, cast iron has been used in electric cooktops within decades and is still popular among many electric burner manufacturers today. Cast iron is known for its unique qualities. First of all, it boasts an excellent heat output quickly transferring the maximum heat to the cookware for efficient and even cooking. Next, it’s notable that even under long-term exposure to high temperatures, cast iron cooking plates remain durable. So, your cooktop will serve you for years. Another pleasant bonus is a comparatively low price; the electric burners with cast iron cooktops are less expensive than those with induction or glass-ceramic cooking surfaces. Yet, an affordable price of an electric burner with cast iron cooking plates does not compromise performance and usability. Andrew James is a symbol of quality and unbeaten functionality. In its products, the manufacturer always strives to obtain an ideal balance between efficiency and usability. 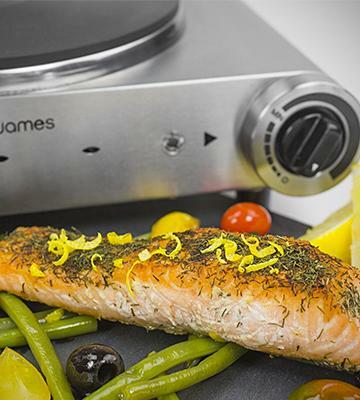 The Andrew James Double HotPlate is not an exception. Though compact, this electric burner boasts amazing functionality. The appliance has an impressive cooking power of 2500W that is on par with normal kitchen stoves. Both hot plates have separate stay-cool thermostatic knobs for temperature control. Hence, you can simmer a mouth-melting beef stew on a big plate while boiling broccoli and asparagus on a smaller one. Designed with safety in mind, this model is equipped with non-skid rubber feet to prevent countertop heating and overheat function that will automatically turn the cooktops off to avoid overheat. 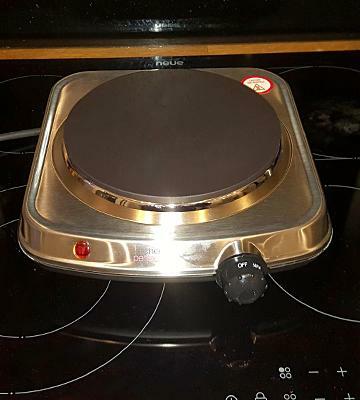 Whether you are looking for a temporary solution while refitting your kitchen or need a compact cooking surface for an apartment, office, RV or boat, the Andrew James Double Hot Plate is the right unit to opt for. The Andrew James dual electric burner is designed to last long. 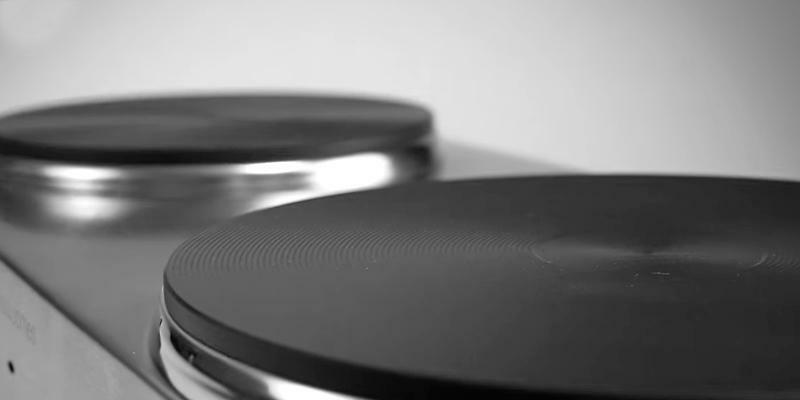 The 19-cm and 15-cm cooking plates are made of extremely durable die-cast iron. They are not prone to scratches, damages, or deformations. Hence they are suitable for any cookware and saving your peace of mind about extra care. A housing of first-class stainless steel is corrosion-resistant and extremely easy-to-clean. Wiping the appliance with a damp cloth is enough to get rid of stains and splashes after cooking. Besides, stainless steel is hygienic and prevents the proliferation of bacteria, ensuring completely safe food preparation. Quality, functionality, safety, and usability are definitely the key features of this electric burner from Andrew James. No kitchen arsenal is complete without high-quality sharp knives. A knife set is a great option to have several knives for major cutting tasks in one pack. Cooking is an integral part of our life and we do it on a daily basis. Of course, cooking is almost impossible without a stationary stove that commonly includes several burners and an oven. However, under certain circumstances, you may not be able to use a kitchen stove but you still need to cook some food for yourself and your family: in a hostel, trailer or in the rented apartment, etc. In these cases, an Electric Burner will become a real find! This portable compact electric stove will easily fit small countertops and efficiently cook your favourite meals within a short period of time. Meanwhile, it will become your right hand if you need to cook many different dishes for some party, celebration or festivity and stationary stove burners are not enough. We also recommend checking solar cookers and charcoal grills. Both appliances can cook delectable dishes without using electricity. 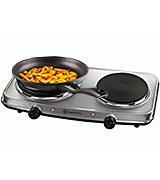 As a rule, there are single and double plate electric burners on the market. Single plate models are lightweight and more compact while double plate units will give you an opportunity to cook several dishes at once for the whole family of 3-4 persons and enjoy a full-scale substantial lunch or dinner. Speaking about the diameter of heating elements, you can come across models with 5 to 9-inch plates. The bigger the plate diameter is the quicker the heat exchange will be. Thus, you will need less time to cook food or boil water. Recommendation: for the most efficient heat exchange, it's preferable that a pot conforms to the size of the burner's plate. Electric burner power significantly affects the cooking speed. The higher the power is the quicker plates heat up to the necessary temperature. Modern electric single plate burners yield from 800 to 1500 Watts of power while dual plate burners require up to 2000 Watts. 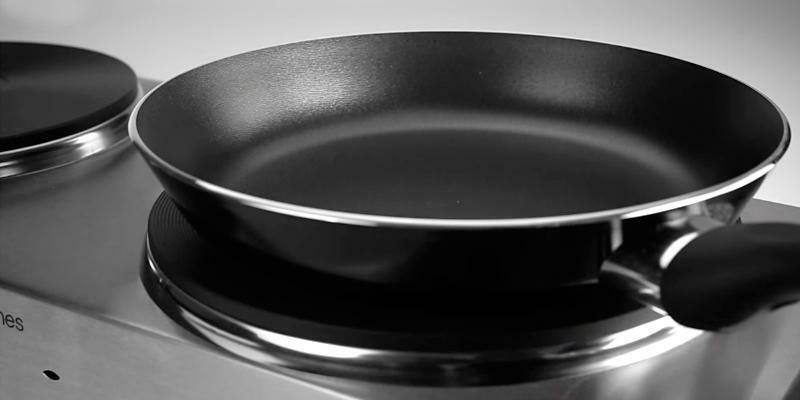 For the cooking plates, manufacturers most often use cast iron plates or metallic coils. 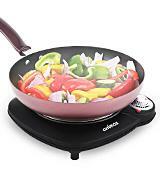 Yet, today induction cooktops become more and more popular. For cast iron plates, it takes much longer to heat and cool as compared to coils. At the same time, cast iron is more practical and convenient in terms of cleaning. Metallic coils heat rather quickly and are usually lightweight. But it is worth mentioning that you need to put some efforts to clean such plates. 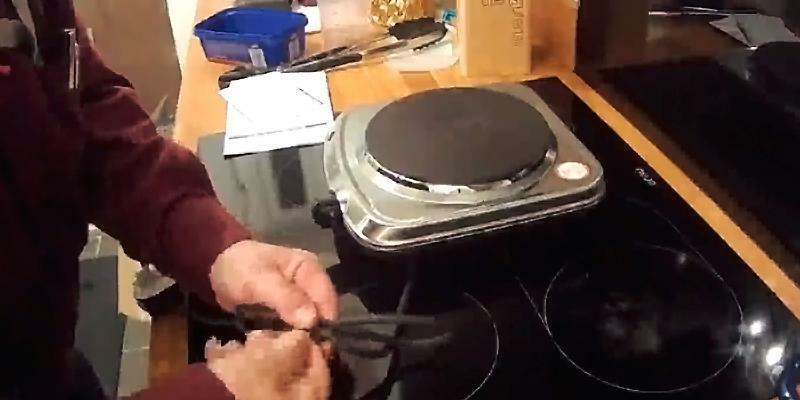 Induction cooktops are a bit pricey but they boast unrivalled safety. 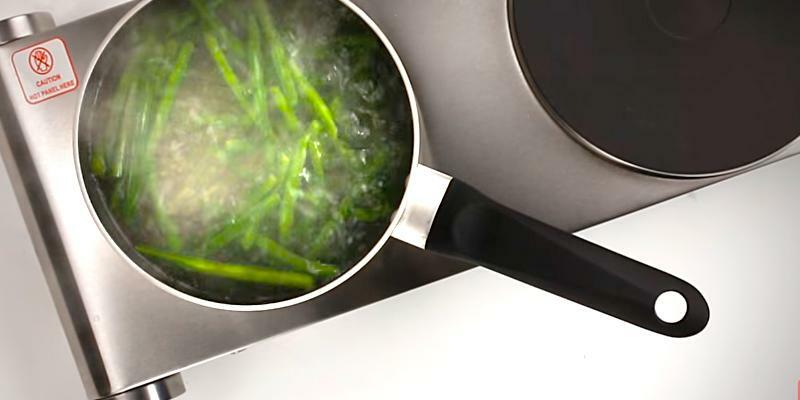 Induction cooking surfaces are designed to heat the pan and cook the food keeping the room temperature of the cooktop. Another rather popular material for the cooktops is glass-ceramics. Glass-ceramics cooking surfaces boast heating up dishes in mere seconds for maximum fast ccooking. As for the housing materials, usually, electric burners body can be made of glassed steel, stainless steel, tempered glass or glass-ceramics. By the way, currently, manufacturers elaborate innovative solutions to make the operation of electric burners more practical and safe. An adjustable thermostat will allow you to select the optimal temperature for any dish and a heating light indicator will show you when the power is on. If an electric burner features cool-touch handles you can easily take it and move around even when it is hot without waiting for a complete cooling. Non-skid feet will contribute to overall unit safety and usability preventing skidding on the surface and ensuring burner's stability while cooking. A built-in thermal fuse is an extremely handy option. It will automatically shut off the appliance in case of overheat if you switch off from the cooking process for a while. And compact dimensions of your Electric Burner will make handling and transportation a breeze without any extra efforts. Select the model to your personal liking. Be sure, cooking with Electric Burner will bring you a lot of pleasure and save your time. 1. David Joachim The Science of Cooktops, FineCooking. 2. 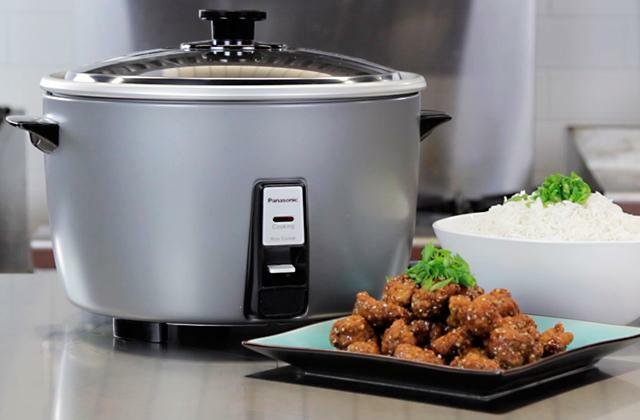 Top 5 Advantages of an Electric Range, Overstock. 3. 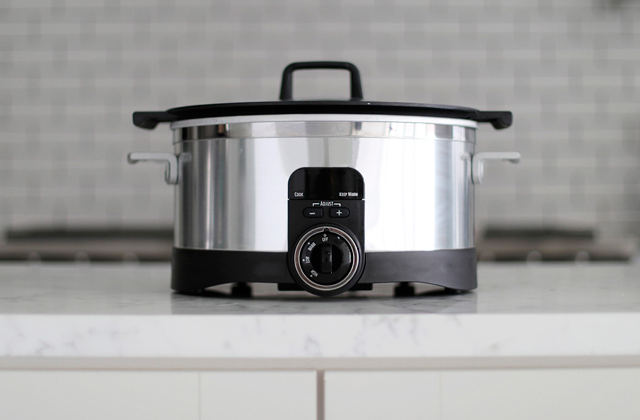 Emma Christensen 4 Lessons I Learned From My Electric Stove, Kitchn. February 24, 2015. 4. 20 Fast Dinner Ideas, Real Simple. 5. Quick and Easy Recipes, Allrecipes. 6. Superfast Recipes: 20-Minute Cooking, Cooking Light. 7. Electric Stove, Wikipedia. December 26, 2016. 8. Burning Issue: Canning on Portable Burners, Uga.edu. November 7, 2014.